Finding pre-owned cars in MIssissauga is easy when you choose Pfaff BMW. At our BMW dealership in Mississauga, our customers can browse through our extensive inventory of new and pre-owned vehicles. Just because you are in the market for a pre-owned car does not mean that you will have to sacrifice on quality, performance, or customer service. Pfaff BMW is a quality car dealer, and our representatives are dedicated to making sure all of our clients find the cars of their dreams with us! In this article, we will talk about the 2018 BMW 230i xDrive available at Pfaff BMW. Begin your search for pre-owned cars here. The look: breathtakingly beautiful. The character: boundlessly free. 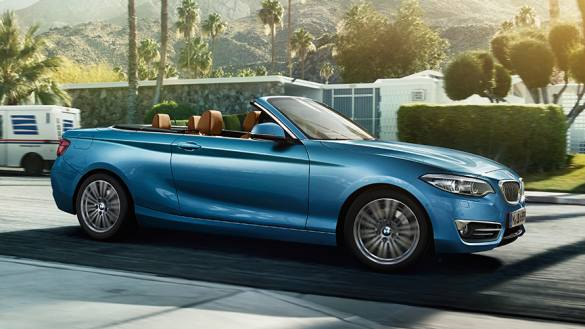 The new BMW 2 Series Cabriolet is a demonstration of sporty freedom and elegance. The combination of dynamic design, powerful engines and exclusive equipment in the redesigned interior opens new horizons of boundless driving pleasure. The sportiest Cabriolet of its class leaves no doubt as to how attractive independence can be. The first impression: freedom and forward thrust. 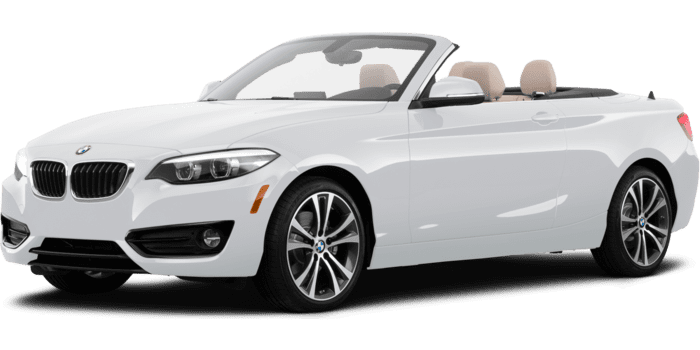 The unique design language of the BMW 2 Series Cabriolet exudes lightness and elegance, power and inspiration. With soft top opened, the honed, even sportier front section and athletic shoulder line set an aesthetic exclamation mark. With the roof closed, the driving experience is no less fascinating, the elegant interior inspires with dynamic design, high-quality equipment and significantly enhanced acoustic comfort. The striking front section of the BMW 2 Series Cabriolet with the double kidney grille sloping inwards and the aerodynamically optimised large air inlets embodies impressive dynamics. This effect is additionally emphasised by the flat LED headlights creating the typical BMW face with its four eyes and is a clear statement of sporting character. Pre-owned cars like this are available at Pfaff BMW in Mississauga. Experience the irresistible freedom of being seamlessly connected when on the move – in the BMW 2 Series Cabriolet. The new operating concept inspires with the clearly arranged functions, intuitive control and digital services that transform the interior into an impressive comfort zone. 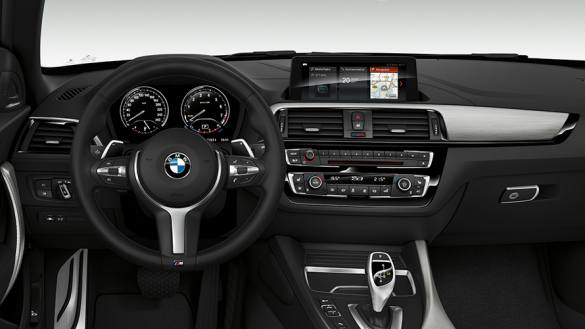 Regardless of whether you are picking up email, organising appointments, planning routes or wish to enjoy your favourite music, BMW ConnectedDrive makes it possible. BMW Connected has your personal mobility planning under control at all times so that you arrive at your destination punctually and in a relaxed state. Inspired by BMW M, optimised for everyday use. The BMW M240i Cabriolet crosses the conventional limits of acceleration: the turbocharged inline 6-cylinder petrol engine catapults the vehicle from 0 to 100 km/h in 4.9 seconds, while the M sport suspension translates the outstanding performance into a thrilling driving experience. Agile, breathless and exciting to watch. Exclusive M Performance design features round off the systematically refined optics of this high-performance athlete. Going to the limits, every day, out in the open air. In the BMW M240i Cabriolet, you combine the sensation of freedom and uncompromising performance to create a superlative driving experience, driven by the 250 kW of the M Performance TwinPower Turbo inline 6-cylinder petrol engine, which with its impressive acceleration and high torque, transforms driving pleasure into adrenaline. For more information about this pre-owned cars in the Mississauga area like the 2018 BMW 230i xDrive, please feel free to continue browsing through our website. Click here to find our contact information, schedule a test drive, and to fill out our contact form.